"But in this story it is supposed that there may be certain rare exceptions or accommodations (legitimately supposed? there always seem to be exceptions); and so certain 'mortals', who have played some great part in Elvish affairs, may pass with the Elves to Elvenhome. 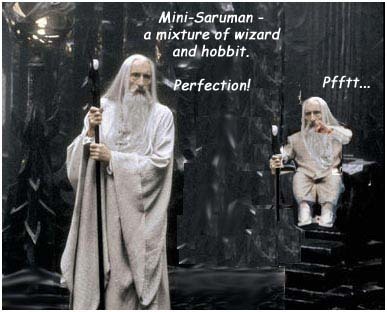 Thus Frodo (by the express gift of Arwen) and Bilbo, and eventually Sam (as adumbrated by Frodo); and as a unique exception Gimli the Dwarf, as friend of Legolas and 'servant' of Galadriel. I have said nothing about it in this book, but the mythical idea underlying is that for mortals, since their 'kind' cannot be changed for ever, this is strictly only a temporary reward: a healing and redress of suffering. They cannot abide for ever, and though they cannot return to mortal earth, they can and will 'die' of free will, and leave the world (Letter 154)." "'Alas! there are some wounds that cannot be wholly cured', said Gandalf (III 268) not in Middle-earth. Frodo was sent or allowed to pass over Sea to heal him if that could be done, before he died. He would have eventually to 'pass away': no mortal could, or can, abide for ever on earth, or within Time. So he went both to a purgatory and to a reward, for a while: a period of reflection and peace and a gaining of a truer understanding of his position in littleness and in greatness, spent still in Time amid the natural beauty of 'Arda Unmarred', the Earth unspoiled by evil (Letter 246)." "As for Frodo or other mortals, they could only dwell in Aman for a limited time - whether brief or long. The Valar had neither the power nor the right to confer 'immortality' upon them. Their sojourn was a 'purgatory', but one of peace and healing and they would eventually pass away (die at their own desire and of free will) to destinations of which the Elves knew nothing (Letter 325)."